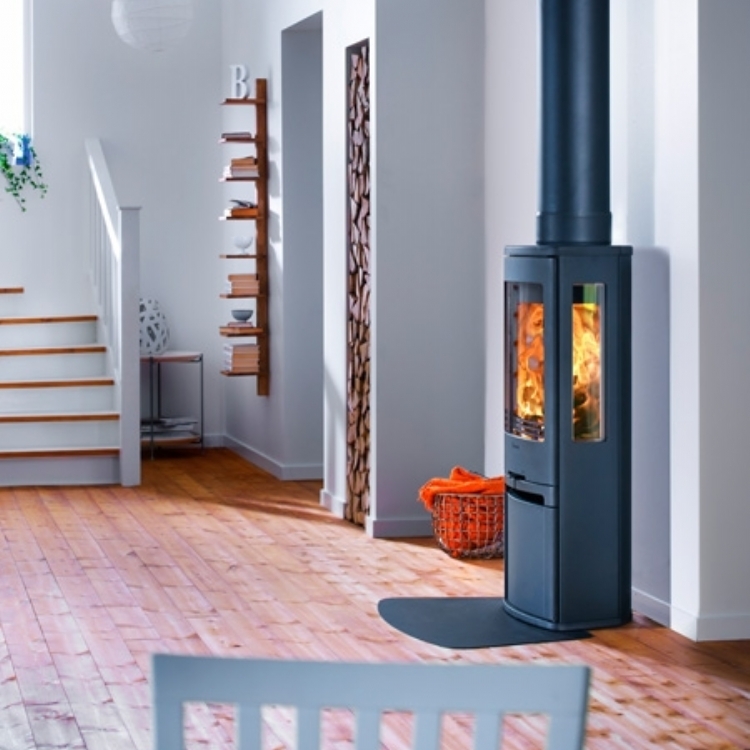 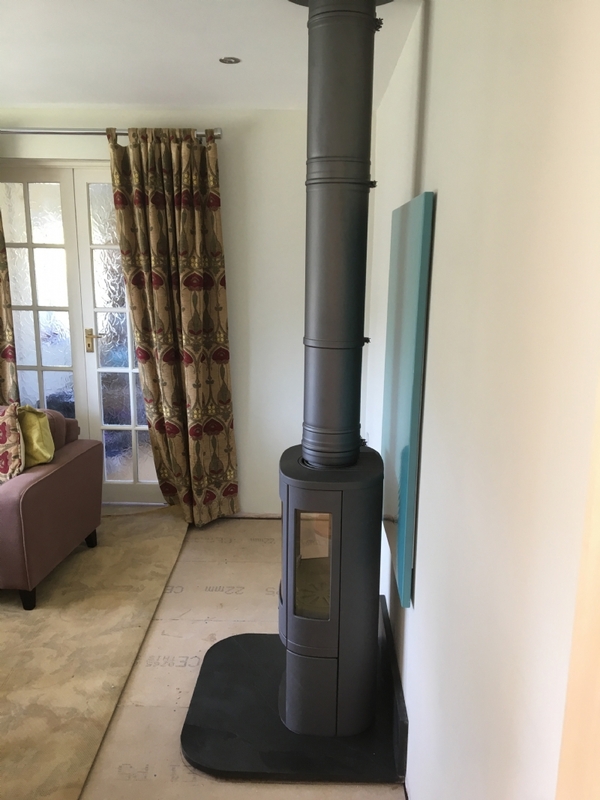 Contura 850 in Helston wood burning stove installation from Kernow Fires. 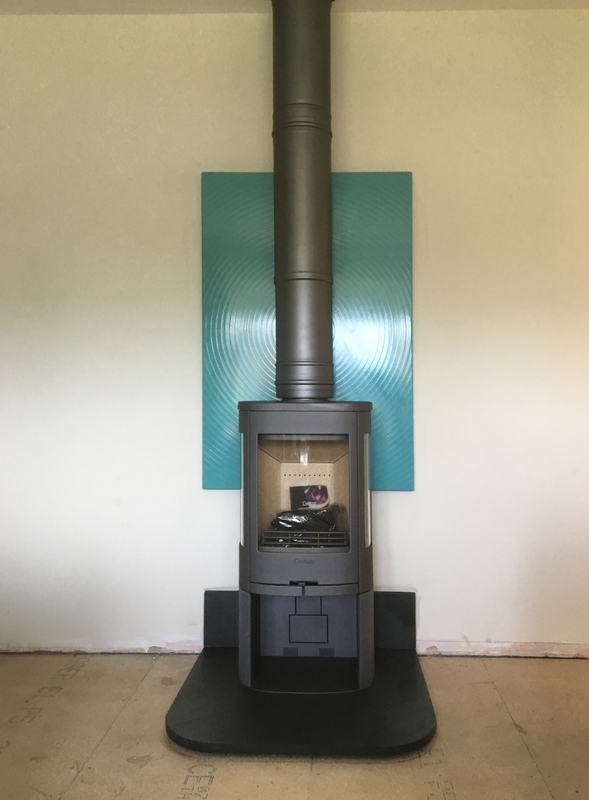 The Contura 850 is a contemporary fireplace, here we have made a bespoke honed slate hearth for it to sit on including an up stand at the back as requested by the client. 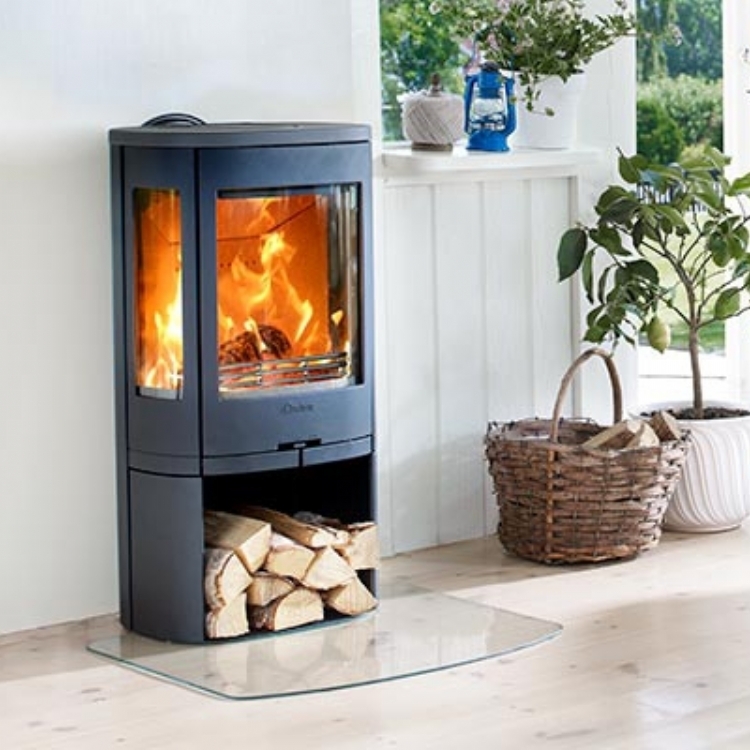 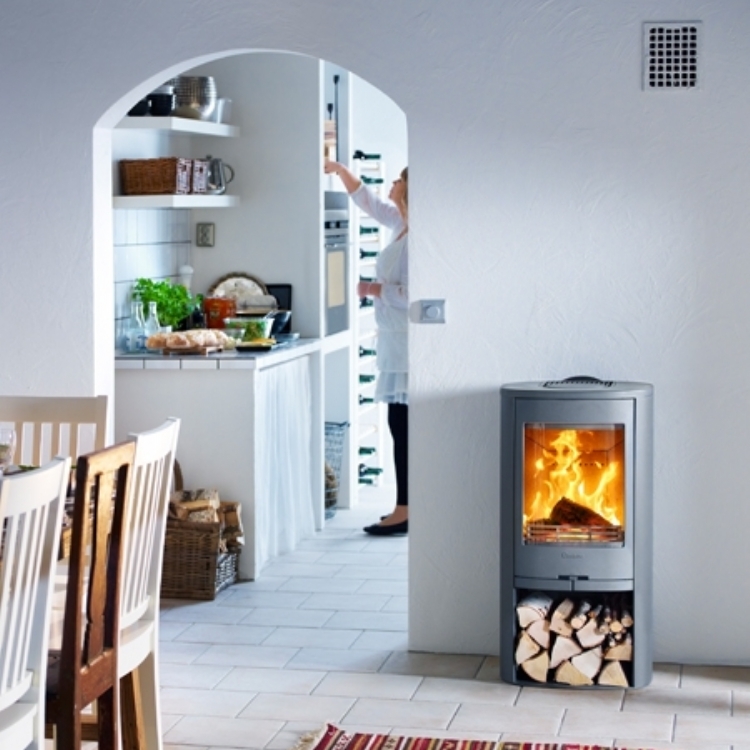 The Charnwood Vlaze enamelled and embossed heat shield has been installed at a height requested by the client but is purely for decorative purposes.